We all know the way the story goes. The valiant prince goes on a perilous journey, kills a ferocious dragon, rescues a captive princess, earns his family's honor. But what if this time the prince… was a princess? In a fairytale world where Queens rule and magic is power, Princess Amaltea is sent on the biggest quest of her life -- to rescue a prince in need and fulfill her duties as a princess. Spoiled, prejudiced and sheltered from the world at large, Amaltea reluctantly sets out on her journey and finds her "lad in distress"… only to find out he's not so willing to join her. Natalia Batista is a Swedish manga artist, illustrator and comic art teacher at Serieskolan in Malmö, the most prominent comic art school in Sweden. A founding member of the Swedish manga artist collective and publisher Nosebleed Studio, her works include the kids manga Mjau! How old were you when you started drawing? Has it always been your dream to be a comic artist? I think I was born a storyteller, or something. At the age of 5, I loved making story books, as small note books in which I made the pictures and my kindergarten teachers had to write down the text that I dictated to them. I continued this in primary school and at the age of 12 I started a comic magazine with my friends. We only made 3 issues, but they were so fun to do. It wasn't until the age of 14, when I first saw Sailor Moon on Swedish television, and found Rumiko Takahashi's manga, that I got in touch with the world of manga. That was when I truly wanted to make comics. From the age of 15, I wanted to make comics, and from the age of 18, when I started at Serieskolan in Malmö (the most prominent comic art education in Sweden), I realized this would be my future, no matter what. 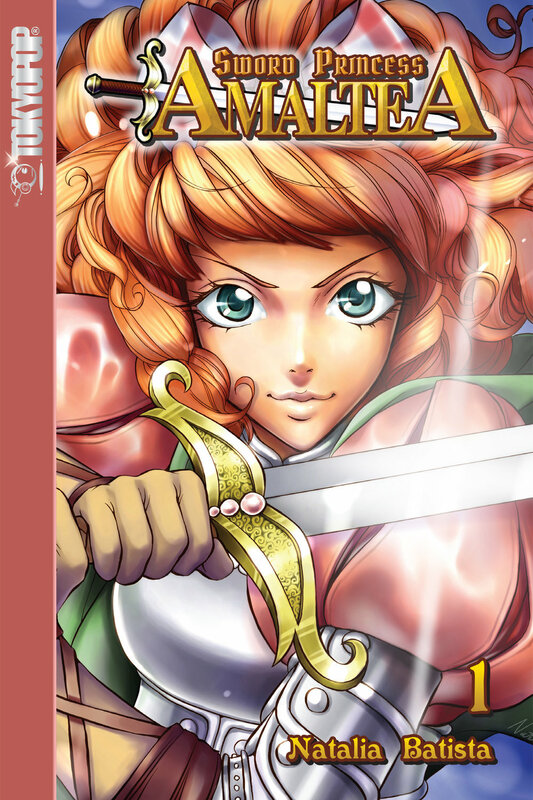 In Sword Princess Amaltea, matriarchs have the real power. Where did you get the idea for this flipped fantasy world? I love fantasy as a genre, especially when it is done in a symbolic way to show us how our world works, like a mirror. But most of the fantasy that we get to consume, or at least back in 2010-2012 when I came up with this story, was focused on men fighting other men or talking to other men, and women being wallflowers in the background. This made me so frustrated and I wanted to make a manga that would turn this power structure upside down to show how stupid it is. An alternative world, not perfect in any way, but mirroring our own and showing us our own true selves. Who are your creative inspirations? What creators do you follow or read in your spare time? IBefore Sword Princess Amaltea, I read Kaoru Mori's works, especially A Bride's Story, which in both concept and art was a huge inspiration. I also love the works of Naoki Urusawa, Oh! Great, Kio Shimoku and Reiko Momochi. All of their stories include interesting characters, great expressive art and fabulous storytelling. But when it comes to non-comic books, I have a thing for dystopian Sci-Fi, like George Orwell's 1984, Aldous Huxley's Brave New World and Swedish author Karin Boye's Kallocain. You teach a lot of comic and art classes. What made you want to go into teaching? My aunt is a math teacher and my grandmother was a school principal, so I guess I have it in my genes, haha. No, actually, I just got into it by accident. After studying comics at Serieskolan in Malmö, I was asked to take the position of teacher and head of the summer course at the school, which I happily said yes to. I reworked the whole course curriculum to my liking and made a bunch of handouts etc. It was such a fun experience, we even ended the three week course with eating ice cream together in the sun! That was during the time when I also started doing manga workshops at libraries too, as it was a great way to pay my bills and also meet my audience; the young manga readers. Since that time, I have held probably well over 300 workshops or manga lessons, and it is still the best feeling to help a young person to create their own manga character and the proud feeling of finishing a piece of art. This opportunity, to get published in the US with my manga, is really such an important step not only to me but to so many Swedish and European manga artists right now. I have friends all over Europe, artists who have been fighting for a long time. They've had art teachers tell them to quit drawing manga because "it won't get you any jobs", or heard other manga fans tell them "you can't make manga because you are not Japanese". Even publishers, like one who told me "manga doesn't sell". The fact that we kept going was because of our passion, our dedication and love for the art of manga. To be able to have this International break-through with my manga being published in the US, Germany, Italy and the Czech Republic, shows others that it is possible. 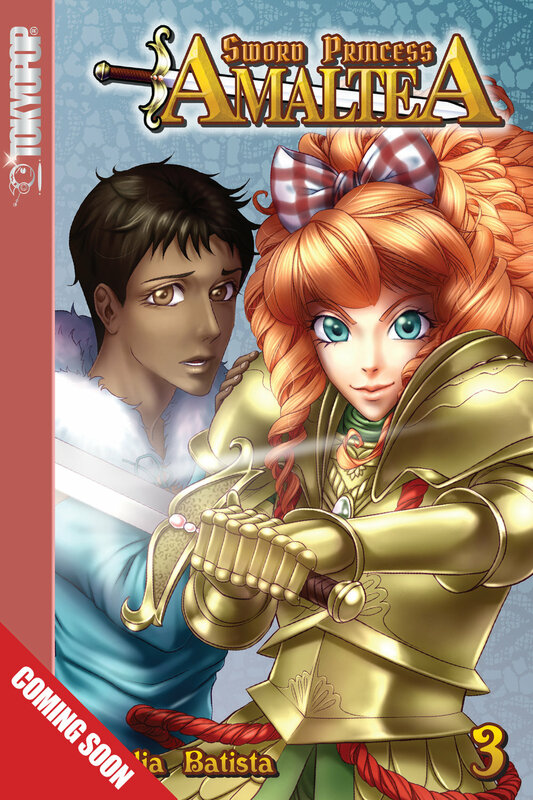 And I'm not alone, several other non-Japanese manga artists are having huge International successes, like Tony Valente or my fellow Swedish colleague Åsa Ekström, who's manga have sold several hundreds of thousands of copies in Japan. We prove all those nay-sayers wrong! And I'm so proud of us, that I'm almost about to cry!